甘我E+ 用ACHI MODE落WINDOWS,都只係得122 WRITE.... 可以點做呢? I got the same problem like you. I got a V3, 240G, first loaded errorly in IDE mode and clean up all, reload windows in ACHI mode. No cruel, the seq write just only 75mb/s after many tested........... you 're better than me already. Firmware 2.02, tried to update but the stupid thing of OCZ tool box said it couldn't due to its primary drive? Thanks Ching. Lucky me it didn't update. 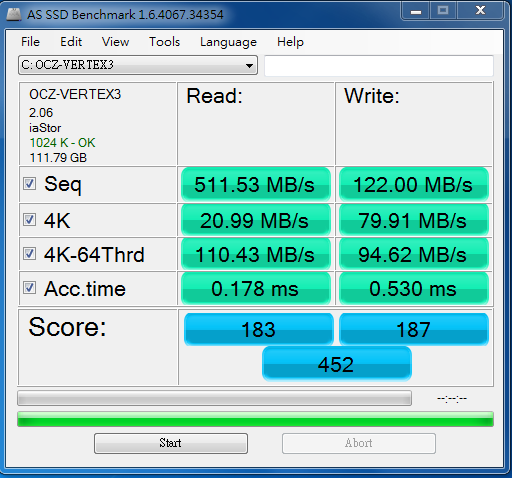 yes, i used previous 3x intel SSD without any problem and just tempted by this V3 fast speed and was the first trial with OCZ's product but comes out such bad experience. I will not purchase their SSD anymore. It really doen't worth for such performance for hkd4800.00, or i will say its a piece of metal. GMT+8, 2019-4-19 14:28, Processed in 0.046935 second(s), 5 queries.